© Georgina Panahi. All rights reserved. On a trip through the Garden Route of South Africa, my husband and I stopped in Mossel Bay on the Western Cape. We had a walk with local guides and saw these lions roaming freely. 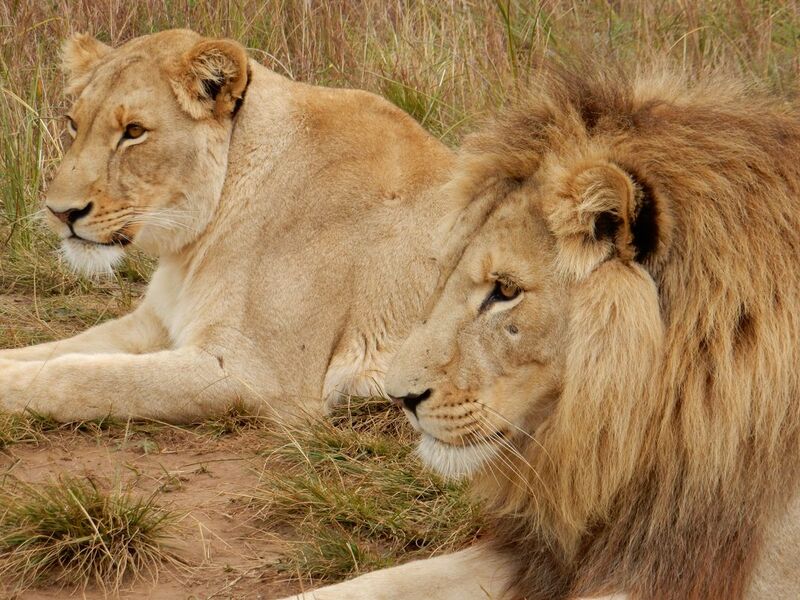 The lions stopped and decided to rest and gaze into the horizon. Fearful of these animals biting my head off if they decided they were hungry, I quickly grabbed my camera without making too much sudden movement and captured these African Lions.